Just wantd to say hello.. I just saw these messages. I hope this one gets to you. 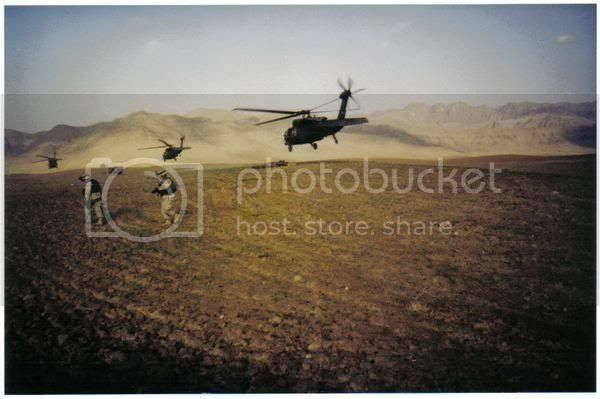 Love the Blackhawks in Afganistan pic. My husband served 33 months in Viet Nam and was never so glad as to see the Hueys and the Snakes (Cobras) come to the rescue of him and his LRRP teams. I always ask Creator to bless our Warriors. I'm married, with a total of 6 children, 3 mine and 3 his. 8 Grandchildren. My husband is a retired Army First Sargent. beading, reading, gardening, working with wood and soapstone. Taking care of my husband.